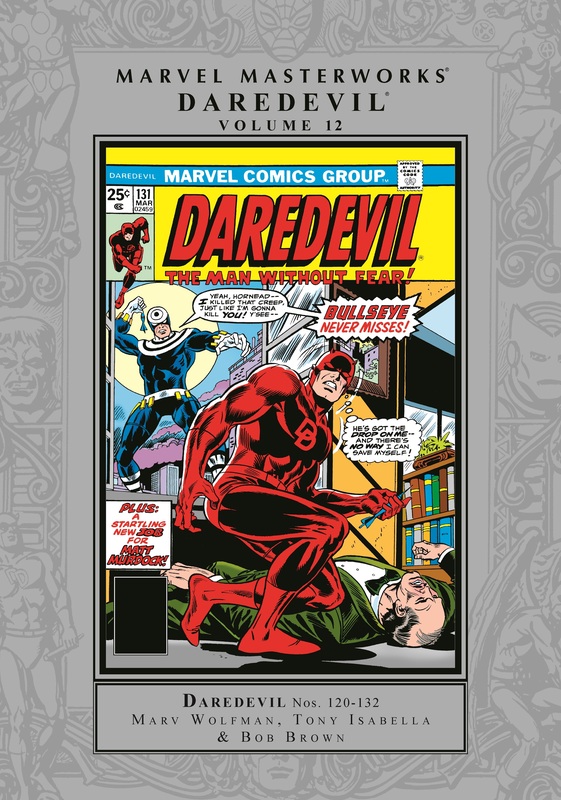 Collects Daredevil (1964) #120-132 and material from FOOM (1973) #13. The Man Without Fear’s life is about to change forever. Bullseye is coming. The countdown begins when Daredevil, Black Widow and Nick Fury unite to battle a renewed Hydra. 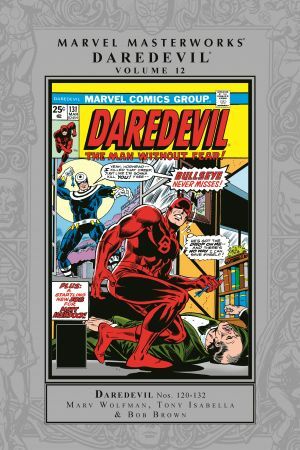 In the aftermath, Black Widow leaves and a new love interest, Heather Glenn, enters, but Matt Murdock’s growing obsession with his life as Daredevil puts their budding relationship at risk. The drama continues with Death-Stalker, the Torpedo, a destructive day in court for Man-Bull and the opening of Murdock and Nelson’s storefront law practice. 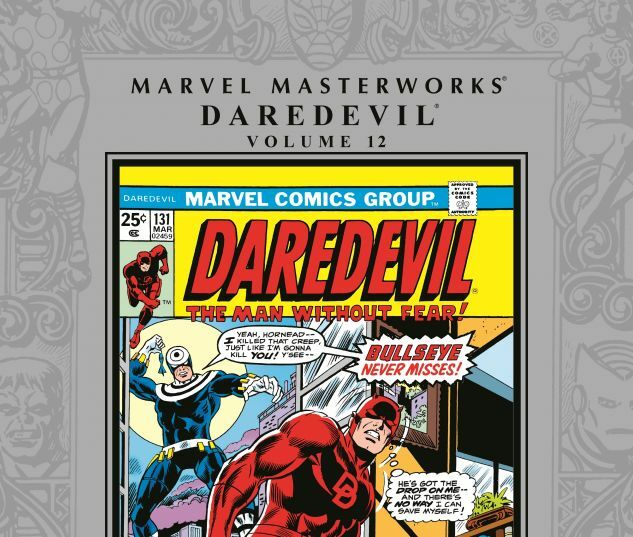 Last, but certainly not least: Marv Wolfman, Bob Brown and iconic Daredevil inker/finisher Klaus Janson unleash one of comics’ most iconic adversaries. It’s the first appearance of Bullseye, the madman with perfect aim and no mercy.